Are you thinking of buying a new computer but are still on the fence? We would all enjoy updating our workstation PCs or gaming computers with each new wave of systems, but this wouldn’t be practical or financially possible for most of us. That’s why computers are an investment. When you buy one, you know you’ll have it for several years or more, with the possibility of upgrading some of the parts. But if you’ve had your computer for a while and you’re seeing signs of it slowing down, how do you know if it’s really time to start fresh? Here are 8 signs that you may need a new computer. 1. Your computer is a major part of your daily life. If your computer is integral to work, school or even gaming, it’s time to update it. Slow systems and computer downtime mean lost revenues, more headache and time wasted. 2. Your workstation PC is slow. Before you do away with your PC, clean up the hard drive, run your antivirus software and reinstall the operating system. If that doesn’t work, it’s probably best to purchase a new machine that can run the newer programs. 3. Your PC is making odd noises. All gaming computers make some type of noise from the fan, the CD drive or the hard drive, but clicking, scraping and other strange noises are not the norm. In fact, it could signal a failing hard drive. 4. You can’t run the latest software. If your media creation PC is having a hard time running the latest office applications, or your gaming computer isn’t running graphic heavy games, it’s time to upgrade so you can take advantage of the latest software. 5. It will cost more to upgrade your computer than replace it. It’s wonderful when you have the option to upgrade parts, but sometimes it’s more economical to buy a new PC. It makes financial sense to invest in a machine that includes the latest technology rather than putting money into an old system. 6. You’ve already upgraded your computer. If you’ve already updated your CAD workstation PC with the latest operating system and hardware, it may be maxed out. Most older machines have limits as far as RAM and hard drive space. 7. You need more space. There may come a time when your computer can no longer hold all of your documents, images, videos, movies and programs. If you have to keep transferring these files onto external storage, you’ll benefit from a new system with plenty of space. 8. Your computer has hit its lifespan. 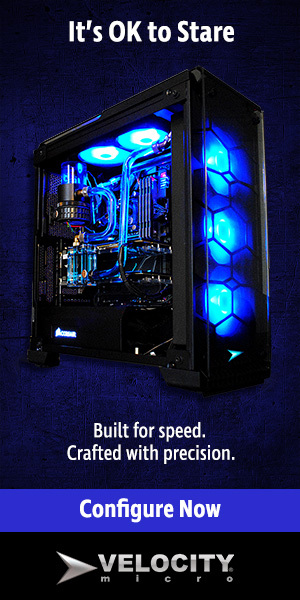 Computers don’t last forever, even when they’re custom made or pre-built to your standards. Your machine may be up and running, and it may even be fine to check email, but if you’re struggling to get your work done or play games, you need a newer PC. If you are in need of a new computer, you’re in luck. The holidays are just around the corner, so now is a great time to take advantage of new technology, new programs and new systems at a discounted price. Or, just add it to your list for Santa.